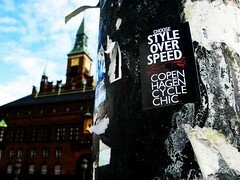 Copenhagen Cycle Chic Stickerliciousness begins! 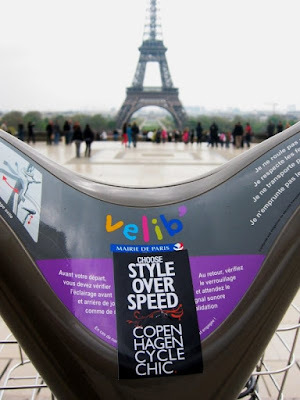 We've asked our readers to send us photos of Cycle Chic stickers around the world and they are starting to arrive. From Pierre in Paris! Classic shot with Velib and le Tour. Quelle photo! From Viry in Berlin. Lovely chictasticness. 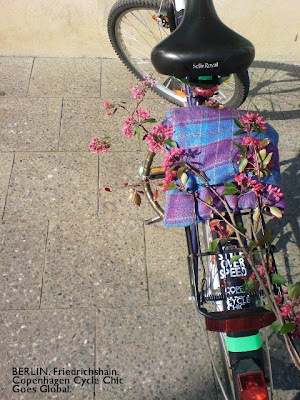 The very essence of Copenhagen Cycle Chic in the German capital. Here's my bike with a sticker. 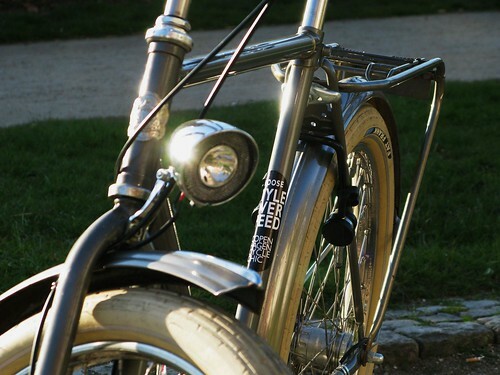 A Velorbis Scrap Deluxe in the Nordic light. Get your stickers at our Online Boutique. €1.92 / $3.00 each. And send us your photos of the sticker wherever it ends up! Something we keep meaning to ask: Does the word "scrap" as in "Velorbis Scrap Deluxe" have a different meaning in Danish to the English "scrap" meaning fragment, discarded as worthless...? "We"? What, the Royal We? :-) It's an English name. Scrap as in scrap metal. The bike is designed to rust in a few strategically placed, aesthetic places to give it that rusty look. Took them ages to perfect it before they put the bike into production. mmm, they're creamalicious Fat Frank tyres by Schwalbe. It's "we" because "WestfieldWanderer" is four people. Perhaps it should be "pluralized" to avoid confusion...:). Built-in rust... Mmm. Interesting concept.